Start off your visit on the 4th (Wed): trek along Panorama Trail and then explore the striking landscape at Glacier Point. For more things to do, where to stay, photos, and other tourist information, read our Yosemite National Park online trip itinerary planner . Mammoth Lakes to Yosemite National Park is an approximately 1.5-hour bus ride. 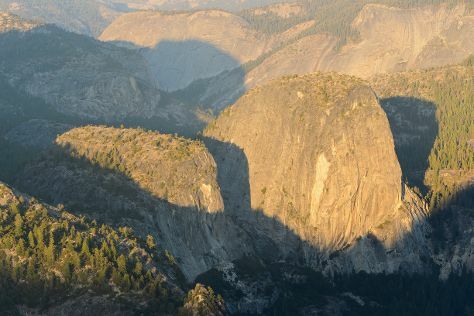 In September, daytime highs in Yosemite National Park are 27°C, while nighttime lows are 3°C. Wrap up your sightseeing by early afternoon on the 4th (Wed) to allow time for travel to El Portal. El Portal is a census-designated place in Mariposa County, California. To see photos, more things to do, traveler tips, and more tourist information, you can read our El Portal trip planner . Explore your travel options from Yosemite National Park to El Portal with the Route module. In September, El Portal is somewhat warmer than Yosemite National Park - with highs of 35°C and lows of 14°C. Wrap up your sightseeing on the 4th (Wed) early enough to travel back home.